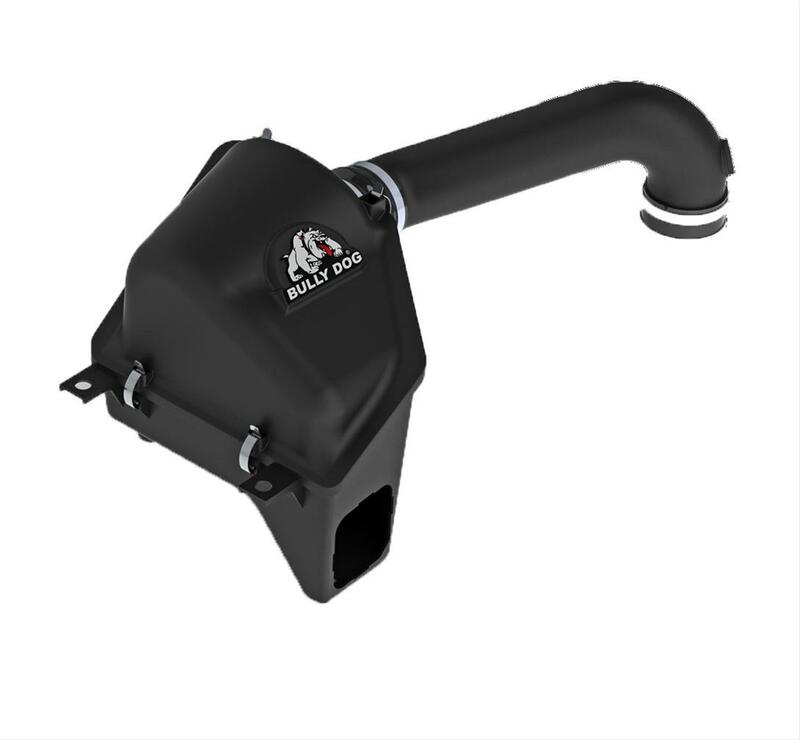 Rapid Flow induction systems from Bully Dog can increase horsepower and torque by opening up the stock air intake. Removing the stock air box, replacing it with a metal heat shield, and using a conical air filter maximizes the cleaning area, allowing the engine to breathe easier and produce more horsepower. The systems include a lifetime reusable 4-layer cotton gauze filter that is ideal for high performance use. They're easy to install, too, requiring only basic hand tools.